2 Bedroom Flat For Sale in for Asking Price £299,950. Brand New 2 Bedroom Apartment, Ready To View! Call us today to organise your viewing. The Par is a bespoke new development comprising of Luxury apartments which are designed to a high specification and located within Evington Village. This development boasts 8 brand new apartments with only 3 remaining FOR SALE, please do not miss out and call to reserve immediately. Internally each apartment has a light and airy feel to them and benefits from an open plan living area, kitchen with premium integrated appliances and separate utility area, there are also two double bedrooms both with fitted wardrobes, an en-suite to master bedroom and jack and Jill bathroom to the second bedroom. Externally the South facing balconies from the rear of the building overlook the golf course and gives you generous outdoor space to each apartment. The main building is set back from the road and has plenty of kerb appeal, you have access to the well maintained landscaped gardens, Secure gated parking and additional allocated underground parking. 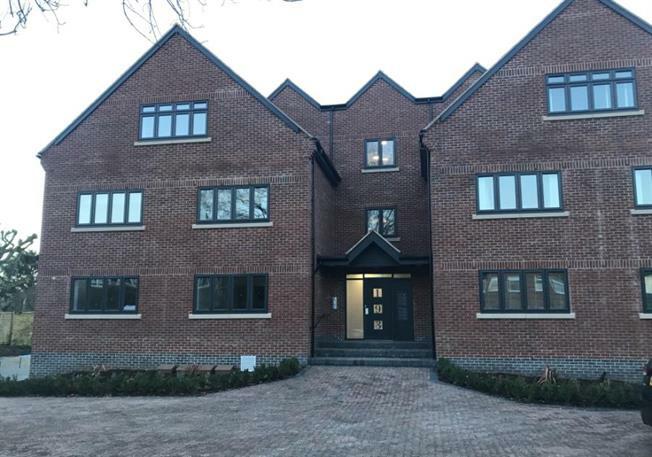 Overall these luxury apartments in THE PAR development all benefit from CCTV to communal areas, Lift to all floors, Under floor heating, Secure basement parking with the addition of electric gates to outside parking area, fitted wardrobes, premium integrated appliances and landscaped garden. The Par is located a short walk from Main Street which offers a variety of local amenities including convenience stores, cafe and bus services.